Like an icon she lights up: a woman in the darkness. The rasping sound of the dyno torch at first sounds nostalgic, but out of their familiar context, the flickering light and the droning rhythmic grating become oppressive and ominous. Who is this woman? What is she doing there? One, a chamber opera by Michel van der Aa, steers the spectator’s attention inexorably into the spiritual word of one character: the ‘one’, sung by soprano Barbara Hannigan. She drowns in the questions which constantly bubble up in her fragmented mind; but there are no answers or solutions. The combination of soundtrack and video makes the axis of time meander between the tangible reality of ‘real-time’ and the ‘captured’ reality on the video screen. Yet One is first and foremost an intimate, poetic and human chamber opera. 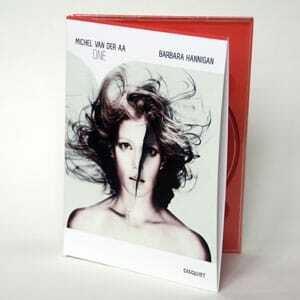 Michel van der Aa’s masterly ability to fuse music, text and visual images into an organic whole, combined with Barbara Hannigan’s tongue-twisting virtuosity, have made One into an instant contemporary classic. The production has been performed to wide critical and audience acclaim in twelve countries. “An opera which can take its place in that remarkable lineage of dramatic monologues stemming from Schoenberg’s Erwartung. “We zien en horen de fenomenale Hannigan, terwijl ze kampt met een alter ego dat zich meldt op een filmscherm en via luidsprekers. Zit ze verstrikt in een nachtmerrie? Is ze gespleten door schizofrenie?